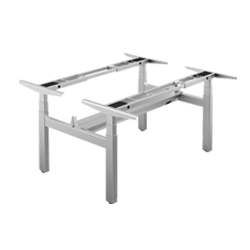 These electric height adjustable workstation kits are innovative, ergonomic work surface solutions. 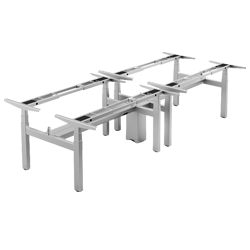 Tailored Solutions for Your Customers’ Needs Most of the electric height adjustable workstation kits we create are designed as pre-assembled desk frames to help reduce installation requirements. 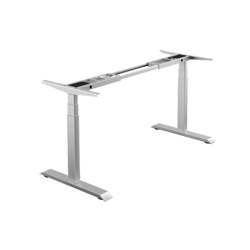 All necessary components are provided within each kit – including the electric lifting columns, controls, control boxes and software, wiring and assembly hardware. 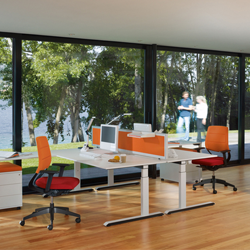 One special feature is the modular, add on kit which allows you to convert your desk into a different configuration. 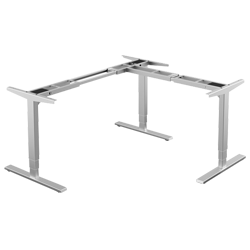 Utilizing one of these add on kits, one may change their desk from a standard rectangular, two leg desk frame into a frame suitable for a three leg L-shaped tabletop, 120° degree work surface or a large meeting table. Manufacturers need a trusted business partner to supply the highest quality components, and GeMinG consistently meets that need for businesses throughout the world. 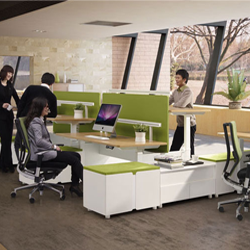 Ours is a highly specialized field and requires close collaboration with each individual customer. Our team understands your unique challenges and has the experience and breadth of knowledge to help you find the right solution. GeMinG operates under a business model that allows us to give you completely customizable options. As a vertically integrated business, we effectively bring you the most competitive prices in this business under the highest standards of quality, whereas our competitors have limited design and product integration options.